I could sing you a song of ungratefulness. I know so many verses, so many long and loud laments, so many quiet whispers in the darkest parts of my heart. I could sing this song on the best of days, even while swimming through an enormous pool of God’s goodness. Today was such a day. Things went haywire in the way that ordinary things do on any given day in a life with three children and old cars and weird things that happen when you’re making plans for life to go just right. And, I had a moment, in the middle of a superstore someplace, when I clearly watched God send me help that I didn’t even know I needed. I was wowed. I shed a tear in the toy aisle. I couldn’t even believe how faithful, how good, how incredible, how involved, how precious God is. I felt His presence, and I worshiped Him for His great love and provision. Imagine how shocked I was, just a few hours later, to find myself singing another verse of the old song of ungratefulness. Just because we had homework to tackle. And, I actually ran over the cat’s toe. I mean, who does that? And, everyone in my home could see the shift–I sang the old familiar song with barked orders and loud sighs and general self-pity. And, in the middle of the third refrain I was suddenly jolted by the image of the friend God had sent to my rescue earlier today. And, I was so ashamed. Because it is so easy to forget what God has done. I have always identified with the “stiff-necked” Israelites wandering through the desert. Because I have no doubt whatsoever that I could watch God part the Red Sea in the morning and be grumbling about something by nightfall. 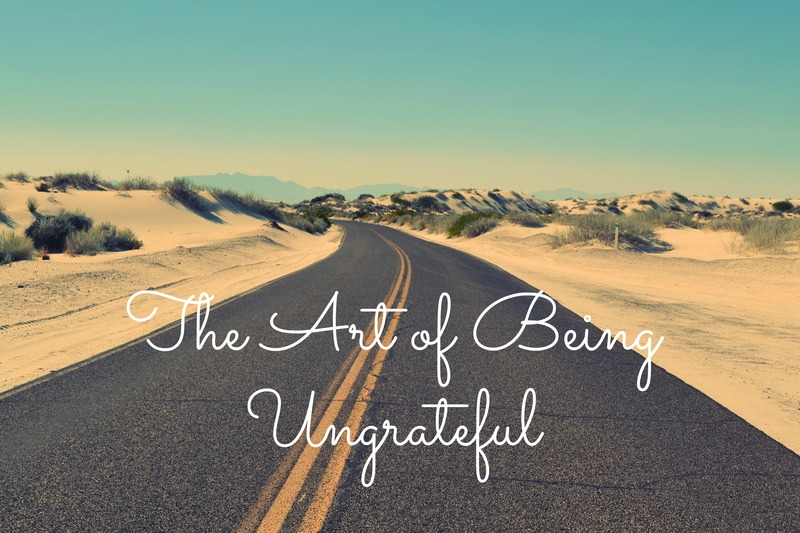 That is how the song of ungratefulness works. Sometimes it almost seems like songs of praise melt right into verses about cats’ toes and homework. It seems ridiculous when we read about the Hebrews being rescued by God again and again and again, but still they complained and grumbled and refused to trust God. Yet, here I was, this very day, singing that lame old song that the Israelites knew so well, even after God had shown Himself so clearly just hours before. I want to be like Moses instead, beaming so brightly after an encounter with God that no ungratefulness can creep in and turn my praise to grumbling. After I recognized my stiff-necked ways this afternoon, I changed my tone with my children. I changed the tune in my heart. At bedtime I told them the incredible story of God’s provision in my day. And, I sent them to bed with songs of praise instead of an ungrateful dirge. And, now I sing my song to you. He is good. May I remember these notes as the sun rises tomorrow.